A huge round-of-a-paws to these kids who have done wonderful things to help animals at the Wisconsin Humane Society! If you’ve done a project for animals and would like to tell us about it, email us and you could appear on our web site! Looking for ways to help animals? Check out our Kids Can Help page and get started today! We celebrate a lot of birthdays here at WHS, but today Athena stopped in to celebrate a different sort of birthday - her dog's! The family pup, Korbell, recently celebrated her sweet 16, and Athena made sure that Korbell's big day was celebrated in style. She threw a party complete with pup-cakes and more, but was also thinking about how to give back! 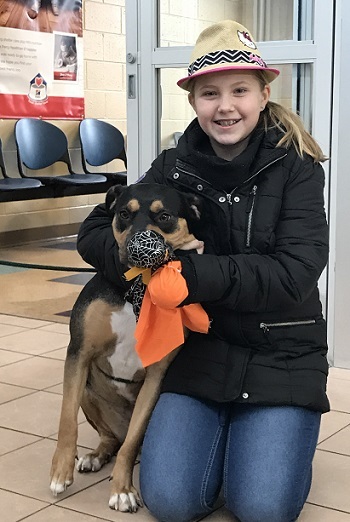 Korbell is a WHS alum, so Athena decided to collect wish list items for the animals at the shelter, as well as raised funds to help their care. Thank you so much for thinking of the animals, Athena! We had an unexpected celebrity visit at our Milwaukee Campus this week from Miss Teen Wisconsin, Kacey! She's working on her year of service, and decided to give back to the animals. She's passionate about her many furry family members, and wanted to make sure the animals in our care had what support. Collecting items from our wishlist was such a huge help! Thanks Kacey! Thank you so much, Elijah! Elijah just celebrated his 6th birthday, and instead of getting presents, decided to collect items off of our wish list for the animals here at the shelter! 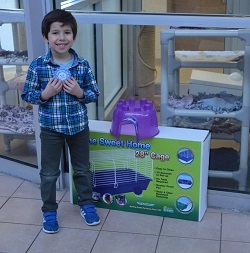 Inspired by his dog and fish at home, he also collected an amazing $322! We are all inspired by Elijah's generosity and kindness. Happy Birthday! 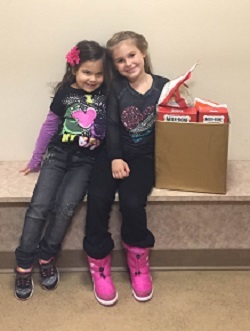 We want to give a big thank you to Brianna and Gabi for thinking of the animals during these cold winter seasons! 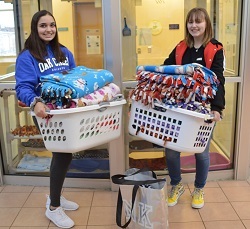 They were working on a Civics Project for their Social Studies class, and decided to make blankets for the animals here at the Wisconsin Humane Society. That is so kind of you! Thanks again! Wow! Everyone (including the animals) are so grateful to this recent birthday star, Penny! Penny decided to give back to the animals in our shelter instead of receiving gifts for her 5th birthday. Not only did she collect all of the items from our wishlist pictured here, but she raised an amazing $445 to help care for dogs and cats in need. We are so inspired by you, Penny! Happy birthday! We want to give a big thank you to the students from Bright Horizons! They collected donations for the animals at the Wisconsin Humane Society, and wrote heartwarming letters to pups they saw on the website. We were so inspired to hear that they learned about the importance of animals finding loving homes. The animals will so appreciate their donations. Thank you! Our pups will be staying warm this winter, thanks to Sydney! 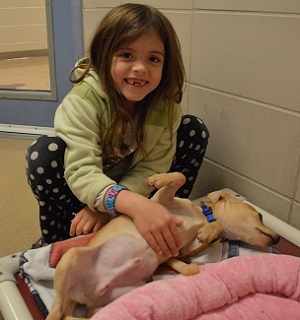 Sydney made fleece blankets for the animals here at our Milwaukee Campus as part of a school project. 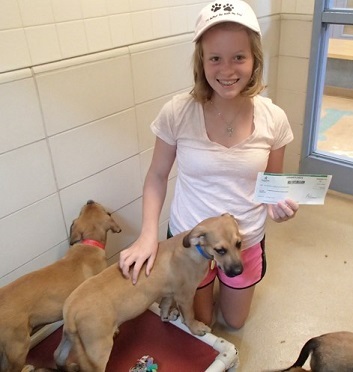 We are so grateful to Sydney for her generous donation and for thinking of the animals! Thank you! 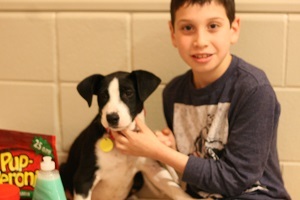 Colton is our kid superhero this week at the Wisconsin Humane Society! He loves his adopted dog Trixie, who is an alumni of WHS. 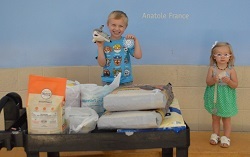 Colton wanted to make sure the rest of the animals at the shelter had everything they need while they waited for their forever family, so he donated supplies for the animals! Thank you so much, Colton! We were so happy to see our friend Ben again! This is the third year in a row that Ben has collected items from our wish list instead of getting gifts for his birthday. He loves helping the animals, and is inspired by his two dogs at home. We are so appreciative of Ben's amazing generosity! Happy Birthday, Ben! Thank you so much Aurelia! 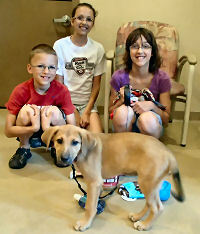 Aurelia stopped in with her family (including her rescue pup Opie!) yesterday to drop off these donations. She collected items from our wish list instead of receiving birthday presents. We are so impressed by her kindness, and for thinking of the animals on her special day. Thanks, and Happy Birthday Aurelia! 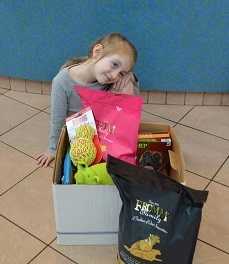 We want to give a big thank you to Chloe, who brought in these donations for the animals in our shelter! 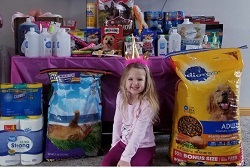 Chloe had a birthday recently, and decided to collect items for the animals instead of gifts. Thank you so much of thinking of us, Chloe, and happy birthday! Abby and Sophie celebrated the end of summer with one last lemonade stand! They used the funds from their sale to purchase supplies for the animals at our Ozaukee Campus. Thank you so much for supporting the animals at the Wisconsin Humane Society! We are so impressed by our local Eagle Scouts this year! 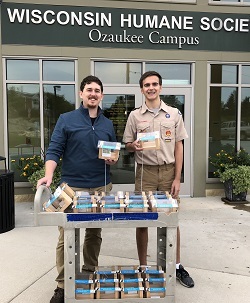 Jake stopped by our Ozaukee Campus to drop off the results of his Eagle Scout project. He made a cart full of donation boxes for the Ozaukee community. Jake's hard work will have a lasting impact for the animals. Thank you so much! Today we had a visit from our friend Julia! Julia's birthday is coming up, and last weekend she had a HUGE birthday party. That's how she was able to collect this cartful of items for the animals. She asked her friends to bring items off of our wish list instead of gifts. Julia, thank you so much, and happy birthday! Thanks so much for your donation, Samantha! 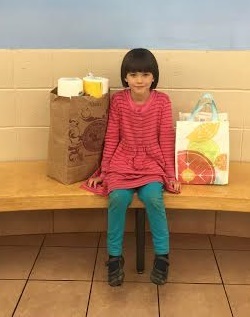 Samantha had her birthday, and decided to collect donations instead of gifts. 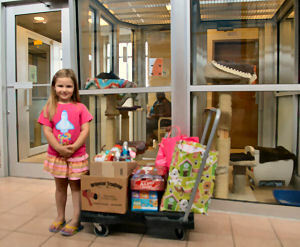 We are so impressed and grateful for everything she brought in, and it will go far to help the animals at the shelter. Thank you, and happy birthday Samantha! All of us at WHS want to give a huge thank you to Life Scout Adam! Adam decided to create donation boxes for WHS to disperse through the community for his Life Scout project. We were floored when Adam dropped off his creations last week; there were 35 boxes! He also donated $100 for the animals. This project will have such a big impact for our donation box program, and will continue to help animals long into the future. Thank you, Adam! Thank you so much to our friend Matthew! 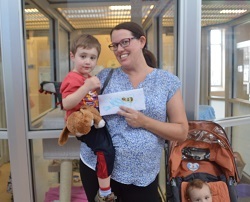 Matthew just turned five, and decided to donate to the Wisconsin Humance Society for his birthday. Instead of getting gifts, he had his friends and family bring food and toys for the animals. How cool! Happy birthday Matthew, and thank you for thinking of the animals! 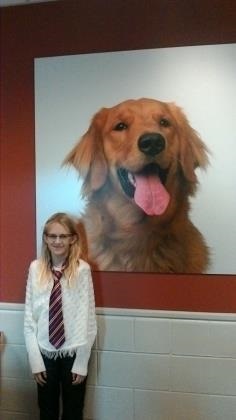 Julia visited our Milwaukee Campus this week to drop off the donations from her Bat Mitzvah. 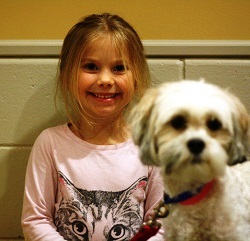 Inspired by her two guinea pigs at home, Julia raised $1510 for the animals here at the shelter! Thank you so much for your generosity Julia! Your support will help so many animals in our community, including our small furry friends! Wow! These friends in Brown Deer got together on a weekend to raise money for the animals here at the Wisconsin Humane Society. 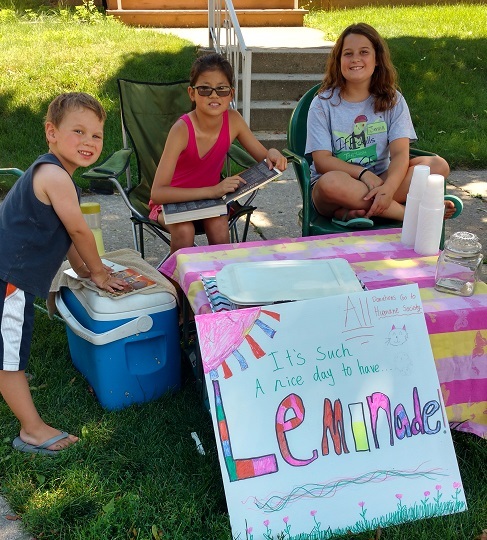 They decided to host a lemonade stand for the neighborhood, where they could help out WHS and have fun doing it! Thank you so much, Brown Deer kids! 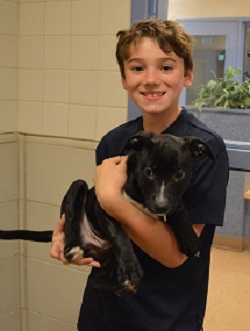 We want to give a big shout out to Sean, and his brother Will for giving back to the animals at our Ozaukee Campus! Will and Sean had to complete a service project in order to earn their black belts in taekwando. 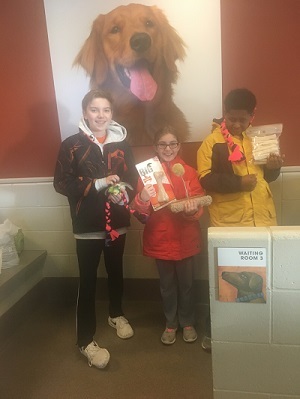 Moved by their own personal connection with a family pet, they decided to create dog toys as well as collect donations for the animals at the shelter. The pups will love their new toys! Thank you so much, Sean and Will, and congratulations! First, second, and third graders from Downtown Montessori Academy joined us at WHS today for our Classrooms Go Wild program! They came in and met some of our wildlife ambassadors, including Roxy the Snake. 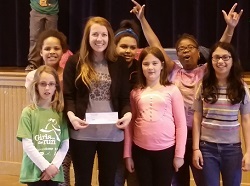 As part of our Classrooms Go Wild program, the students did a service project at their school and raised $295.78 for the animals at our Wildlife Rehabilitation Center. How cool! Thank you, Downtown Montessori! Zoe didn't let the rain stop her from coming down to our Milwaukee Campus today! She recently celebrated her 7th birthday, and collected donations for the animals at our shelter instead of receiving gifts. How awesome! Thank you so much Zoe, and happy birthday! Wow! We were blown away by the outpouring of support from St. John's School this past weekend. They recently had a scholastic book fair which was animal themed, and decided to give back to the animals in their community! 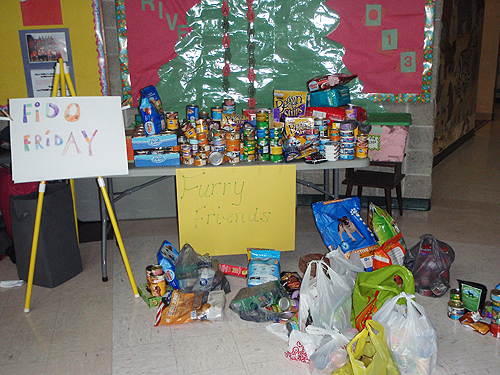 They collected donations for our Furry Friends Pantry, and the picture here isn't even all of their donations! Thank you so much students! We want to give a huge thank you to Lucian and his family for stopping in today! Lucian just had his 3rd birthday and decided to collect money for the animals instead of getting gifts this year. He loved saying hi to his kitty friends! Thank you so much for thinking of the animals, Lucian! Natalie stopped down at the shelter last weekend with a fantastic donation! Her and her schoolmates made blankets for the animals, as well as collecting donations from our wish list. Thank you so much, Natalie! We want to give a huge shout out to Kirby! She collected items off of our wish list for the animals here at the shelter in honor of her birthday! These supplies had an immediate impact to the animals at WHS, and our Furry Friends food pantr. Thank you for being our friend Kirby, and happy birthday! Elle stopped down at the shelter today to drop off donations from her 10th birthday! 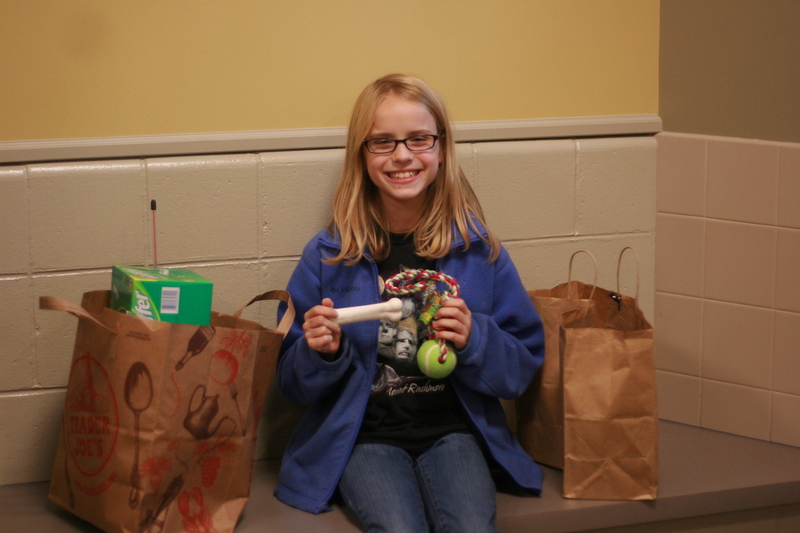 Instead of getting presents, she decided to collect items off of our wish list for the animals! She loves animals, and thought they needed things more than she did. We are so inspired by her thoughtfulness and kindness. Thank you, Elle! Wow! We are so grateful to these young leaders for stopping down to drop off their donations. 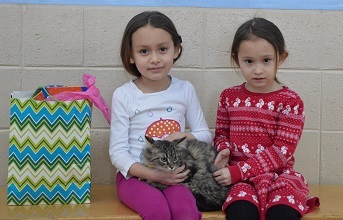 They brought in items from our wish list to benefit the animals at our shelter. Thanks so much, Girl Scouts! We want to give a big thank you to the students in Ms. Guillien's 3rd grade class and Ms. Wildman's 2nd grade class! They organized a donation drive called Pennies for Paws to purchase supplies for tha animals in need at our Racine Campus! The students encouraged their classmates to donate, and raised $173.62 for supplies. Thank you so much! 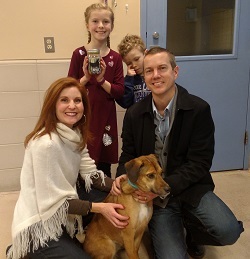 Elizabeth stopped down to the shelter with her family this past weekend! 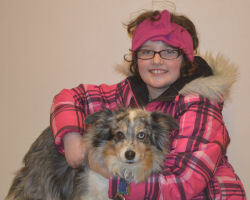 She did a fundraiser with her scout troop, and donated money to help the animals. Incredible work, Elizabeth! Thank you! Wow! 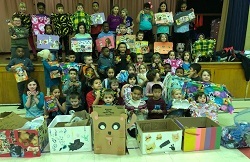 Longfellow Elementary's Action kids spent time in their after school program giving back to the animals. They made blankets, cat toys, and posters for the animals. They also collected donations! We are so grateful for their kindness. Thank you Longfellow students! Thank you so much to Michael for his donation! 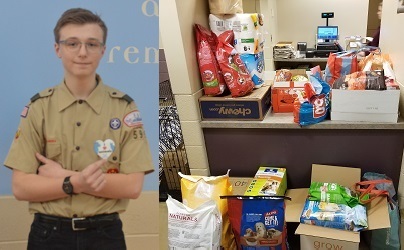 As part of his Eagle Scout project, Michael wanted to help the animals at the Wisconsin Humane Society. He organized and advertised a donation drive, collecting items off of our wishlist. We are so impressed with his hardwork and committment! Thanks Michael! 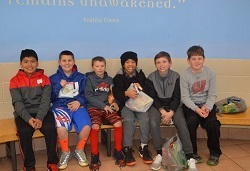 Thank you to St. Joseph Parish School for their generosity while attending a field trip program! The animals love their new toys and treats. Keep up the great work! 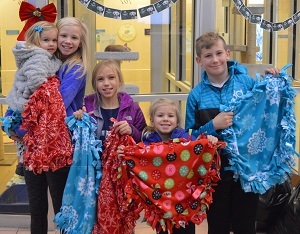 Malena, Ava, Talia, Callie, and Jack stopped by the shelter to donate their homemade blankets! The animals at the shelter will be nice and warm this holiday. 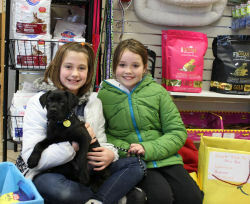 They also raised money and purchased supplies for the dogs and cats from our Animal Antics store. Thank you so much! We want to give a big thank you to the entire Bott Family, who donated $100 to the Wisconsin Humane Society! The Bott family grandparents asked their grandchildren to pick an organization they wanted to help, and the kids chose to support the animals here at the shelter. We are floored by the family's generosity. Thank you! We were thrilled to have the members of Girl Scout Troop #10684 join us at Hope's Lights this year! They donated the blankets they made for the animals at the shelter. Thank you so much for your kindness scouts. Danke schon! 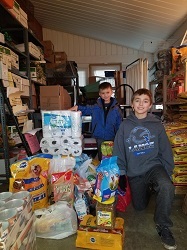 We want to give a big thank you to Wyatt and Casen, who collected donations for the animals at the Racine Campus of WHS! They decided to support animals in need instead of getting birthday gifts this year. Their generosity is so inspiring. Thank you so much Wyatt and Casen! 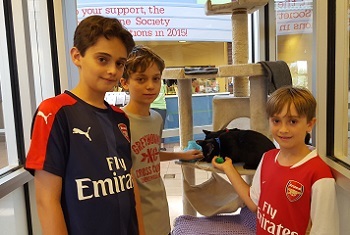 Bobby and Henry celebrated their birthdays recently, and decided to give back to the animals! Instead of getting gifts this year, they collected donations from our Wish List for WHS. Thank you for sharing your special day with us, and for helping our furry family! Huge thanks to Charlie, Joey, Joel, Brady, Kaydin, Vinny, Aiden, Tristin, and Danny for organizing a haunted yard in honor of the animals here at WHS! As one of the most unique fundraisers we’ve seen, their Halloween-themed event raised $117.25 for the shelter, as well as a variety of in-kind donations from our wishlist. Thank you so much for your generosity! A big thank you to Kaylee and Colten for running their very own lemonade stand to help support the hurricane animals who arrived WHS! Kaylee and Colten spent their weekend selling lemonade for this special cause. In the end, they raised $140. Thank you Kaylee and Colten for your kindness and generosity! Your donation means so much to the animals! 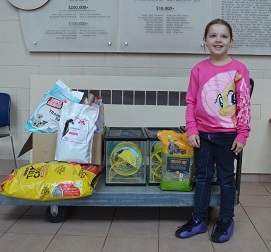 Maddison stopped by the Milwaukee Campus with $200.00 worth of wish list items for the animals at the Wisconsin Humane Society! She raised this money through a rummage sale she had with her grandparents. We are so excited and honored by Maddison's generosity. Geannie couldn't wait to explore all the new items! Thank you again Maddison! WHS received a great surprise last week. 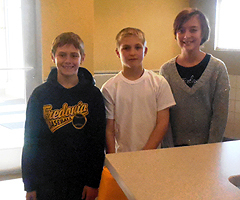 Elizabeth, Jenna, and William held a lemonade stand to raise money to hep the animals at the Milwaukee Campus! Their hard work paid off and they raised $45.00! This donation will help in so many ways and we are so thankful for your generousity and kindness to the animals in our community! Thank you Elizabeth, Jenna, and William! 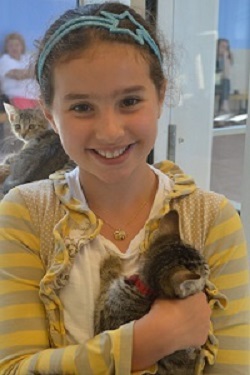 Jillian, a 7th grader from St. Matthias, stopped in today with a $75 donation she made for animals. Jillian had found the money at her school and turned it in. After a few months when no one claimed it, the school decided to reward Jillian by giving her the money. Being the kind-hearted kid she is, Jillian decided to donate half the money back to her school and half the money to WHS for animals. We think that’s pretty cool! She’s pictured here (right) with her sister, Evelyn. Way to go, Jillian! Huge thanks to the students at Brown Deer Middle/High School for the generous donations of items from our wish list and a cash contribution. It will go a long way to help animals in care at WHS. We are truly grateful. Sophia made over 200 cookies herself and held a bake sale at her school! She donated all of the proceeds to the animals, totaling $500! Wow, thank you Sophia for your hard work and generosity at such a young age. The animals appreciate it more than you know. Keep up the great work! 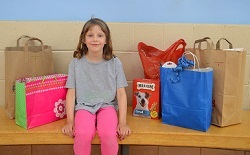 Aideen asked her friends to bring food and toys for the animals at the Wisconsin Humane Society for her birthday party! We are so blessed and thankful for amazing people, like Aideen, who wanted to help animals in honor of her birthday. Thank you so much for your sweetness!! The animals are loving their new toys! A big thank you is in order for the kindergarten class at Donges Bay Elementary School! 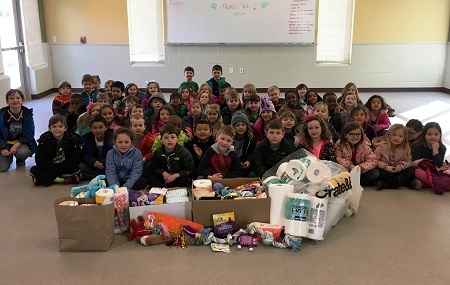 Students were coming for a field trip program and also collected all of these wonderful donations for the animals! The dogs, cats, and small animals will love their new toys and treats! Thank you for showing us your act of kindness, Donges Bay! 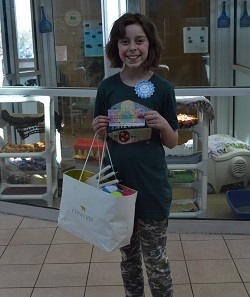 Charlotte had a birthday party and asked all her friends to bring gifts for the animals at the Wisconsin Humane Society Ozaukee Campus instead of for herself! Our animals cannot wait to see all the new toys and treats Charlotte and her friends brought in. Thank you so much Charlotte for your generousity! The 4th graders of Troop 20058 chose to donate money to WHS, which they each earned by doing jobs for family members and neighbors. 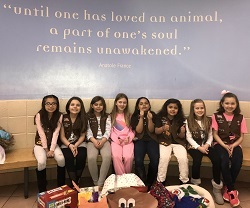 They also brought in many additional store-bought items to donate, which helped earned them their 'Making a Difference' and 'Humane Society' patches. Thanks girls! 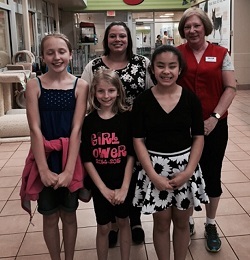 Girl Scout troop #8328 donated some dog treats/tennis balls for our shelter! Our dogs couldn't wait to play with their new tennis balls as well as beg for some yummy treats! Thank you ladies for your amazing donation! Maura celebrated her birthday with her friends while making blankets for the animals---what a great party! All of these donations made Thanksgiving extra special for the animals here. Way to go ladies and thank you for being so thoughtful! 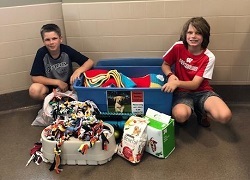 For his 12th birthday party, Riley asked friends and family for monetary donations to benefit the Wisconsin Humane Society animals instead of gifts. Riley raised $500 for the animals! Thank you Riley for this selfless act of kindness! Kali made homemade dog treats and sold them at her school’s family movie night! Kali raised and donated $53 to help support the animals at WHS! Great idea, Kali and thanks for putting your compassion into action! 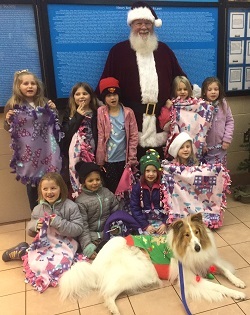 These amazing Girl Scouts made homemade blanket for the animals at the Milwaukee campus! They even donated the cute baskets for our staff to use! What a great and sweet idea. Thanks ladies for all your hard work! 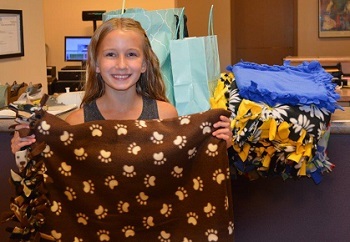 For her 10th birthday Emma donated a varity of items for the animals as well as made some homemde fleece blankets. Our animals couldn't wait to curl up with their new toys and blankets! Thank you Emma for thinking of us during your birthday. Our animals are enjoying the comfortable blankets! After adopting a cat from the shelter, they thought about all the other cats and dogs waiting for their new home. 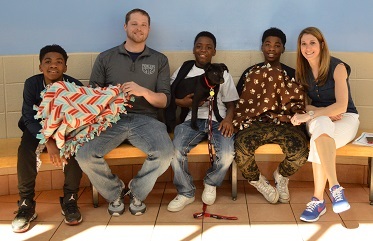 They decided to make and donate homemade cat toys and dog blankets to all the available animals at the Milwaukee Campus! Our animals are so grateful for their new items! Thank you so much! These puppies couldn't wait to thank Elizabeth for her wonderful donation! Elizabeth raised $266 from her birthday! Thank you for thinking of all the animals at the Wisconsin Humane Society on your birthday. What an amazing and thoughtful gift! 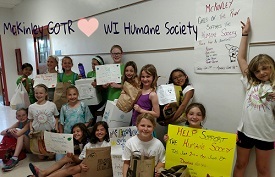 These amazing girls went door to door in their neighborhood, asking for donations for the Wisconsin Humane Society! What an amazing way to get the community involved to help raise their love and passion for animals! Thank you so much for your generous donation and stopping by the shelter! Huge round of a-paws to Mrs. Wirth’s and Mrs. Richards’ 3rd and 4th grade students at Manitoba School in Milwaukee! 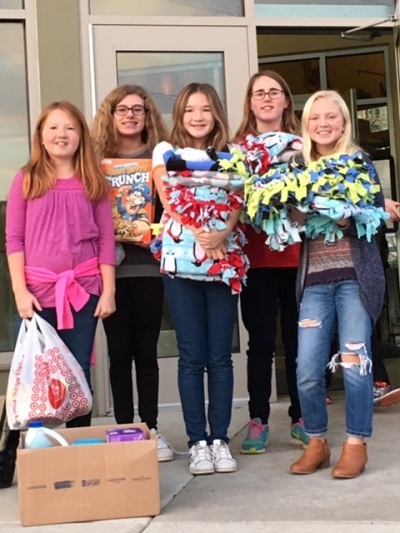 For their community service project, they decided to make blankets and collect Wish List items to help animals in need. Way to go, kids! 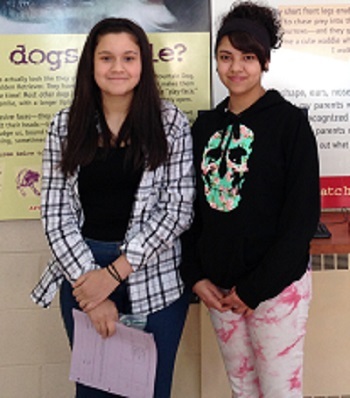 Yanelis and her friend had to do a service project for school and decided to raise money for the Wisconsin Humane Society! They brought in over $80.00 to help the animals! Thank you so much for choosing us for your project! 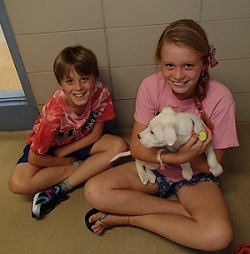 These young donors stopped by the shelter to drop off $200 for the animals at the Wisconsin Humane Society! This donation will help care for many of our animals and we are so honored you donated to us! 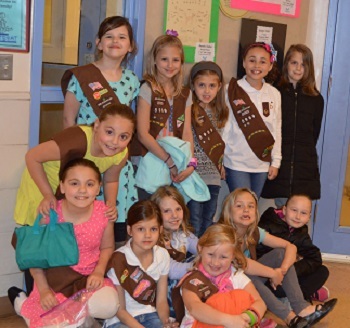 Thank you ladies of Troop 8969! We are so thankful to these students from MacDowell Montessori School! They made some very comfortable blankets for our animals. They are really going to enjoy their nap times now! Thank you for your hard work guys! 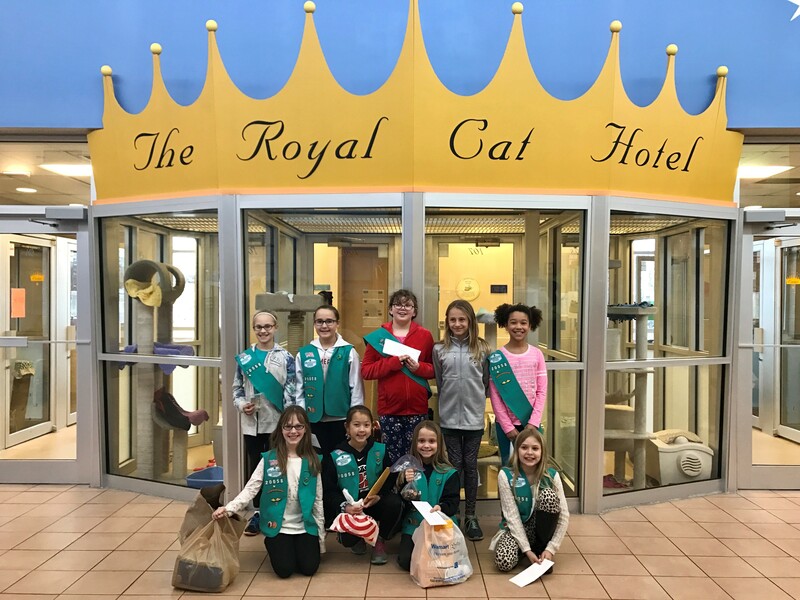 These amazing ladies from Girl Scout Troop Troop 3463 worked so hard for their Bronze award project by collecting tons of donations for the Wisconsin Humane Society! They had a school drive where they received food, treats, beds, toys, and so much more! The animals and staff are very happy to use all the items!! Thank you so much! 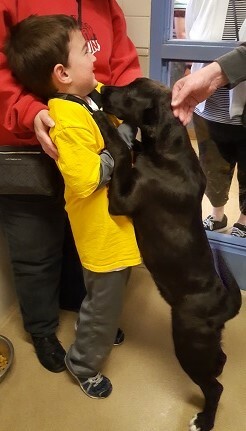 Sean received lots of puppy kisses for his incredible donation from his 7th birthday! 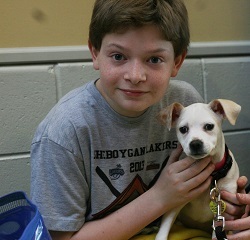 He asked his family and friends to donate money to the Wisconsin Humane Society, which totaled $202.00! We were so thankful for his generous donation until he surprised us with how he wanted to use the donation. He asked if he could spend it in our Animal Antics store and then donate all those items to the animals! Sean, thank you so much for your amazing donations. Our animals are enjoying all the items you bought and donated back to them! 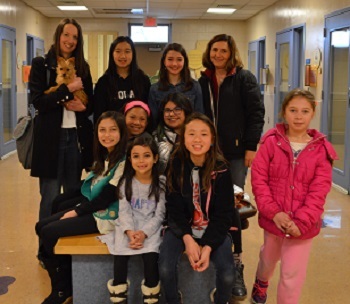 Girl Scout Troop 9280 received a special visit from a WHS Alumni who wanted to thank them for their donation of $200.00 to the Wisconsin Humane Society Racine Campus! Thank you ladies for your amazing donation! 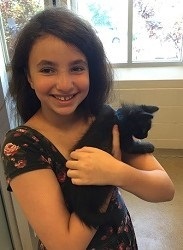 For her 11th birthday, Trinity asked her friends and family to donate to the Wisconsin Humane Society. Pollux couldn't stop telling Trinity how thankful he was for her amazing gifts and wishing her a happy birthday! These girls brought in tons of boxes full of donations for all the animals at the Wisconsin Humane Society! Thank you for the amazing donations ladies! Our animals cannot wait to dig into those boxes and see all their new things! 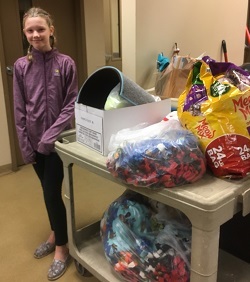 For a school project Jaisyn decided to do a donation drive to help all the animals at the Wisconsin Humane Society-Racine Campus! All the animals were so excited for these fantastic donations and couldn't thank Jaisyn and Rocky enough for stopping by! Thank you for your generousity! We give you an A+! 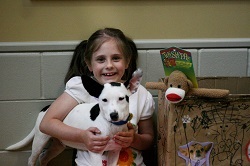 For her 7th birthday, Zoah asked for donations to help the animals at the Wisconsin Humane Society. 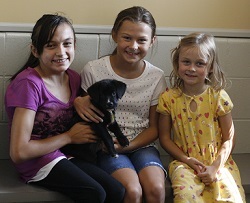 We were so excited to meet her and her sister, Scarlett and thank them for the awesome donations! Thank you so much for thinking of us and Happy Birthday! Wow! Look at all those donations! She collected all these donations from her school when she did a supply drive for the Wisconsin Humane Society! Our animals cannot wait to explore all those boxes and see all their new things! 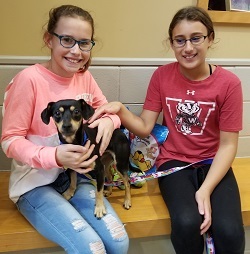 Rachael & Emily wanted to give back to the animals at the Wisconsin Humane Society Ozaukee Campus, so instead of asking for gifts for themselves they asked for items for the animals. What a thoughtful, awesome gift! Thank you girls! A huge thank you goes to Jordyn from South Milwaukee High School! She dropped off some lovely fleece beds to go home with animals for the holidays. After asking for fleece donations from family and friends, Jordyn made each bed by hand so animals like Sugar (pictured) can have a cozy place to snuggle. Thank you, Jordyn. Your generosity means a lot! 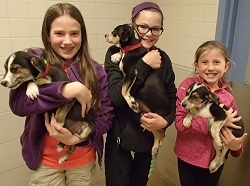 Girl Scout Troop 9430 had a huge surprise for us when they came to visit the Wisconsin Humane Scout for Scout Night. They put donation bins at Rawson Elementary and Blarewood Schools and brought in a ton of donations! Thank you so much ladies for the amazing gifts for all our animals! Lola was so excited to meet Reagan, who stopped by the Wisconsin Humane Society Ozaukee Campus to drop off donations from her birthday. Reagan asked her family and friends to bring donations for the animals at the Humane Society instead of gifts for herself! How sweet! Thank you Reagan! 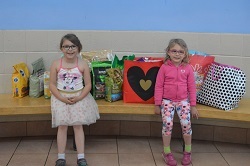 Josie, with her friend Lilly, stopped by the Milwaukee Campus to drop off donations for all the animals from her birthday party. 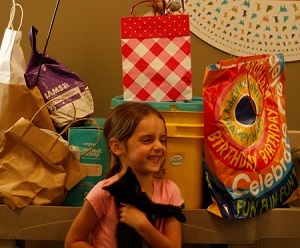 Instead of asking for gifts for her 7th birthday, Josie asked her friends to bring in donations for the Humane Society! 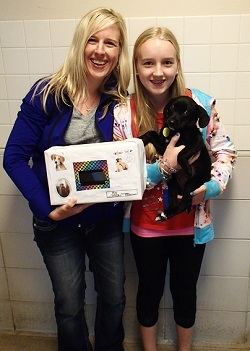 Thank you Josie and Lilly for stopping by to visit with the animals and for your wonderful donations! Michaela stopped by our Ozaukee Campus with all the change she has been saving this year! Thank you Michaela for thinking of the animals! Our kittens are especially grateful for your generosity! 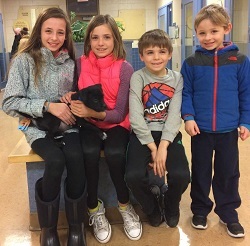 Instead of getting gifts for her 7th birthday, Phoebe asked her friends to bring items that can be donated to the Wisconsin Humane Society. The animals are so excited to see all the new items you brought for them! Thank you Phoebe for the awesome donations! Happy Birthday! 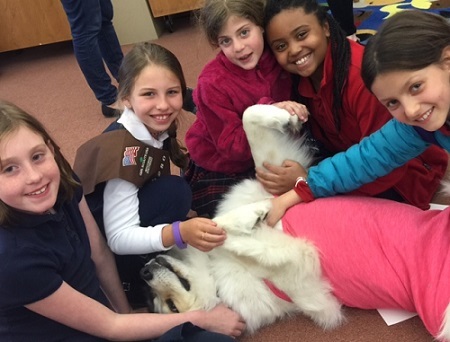 A big PAWS UP to the first through third graders at Fernwood Montessori School in Milwaukee. 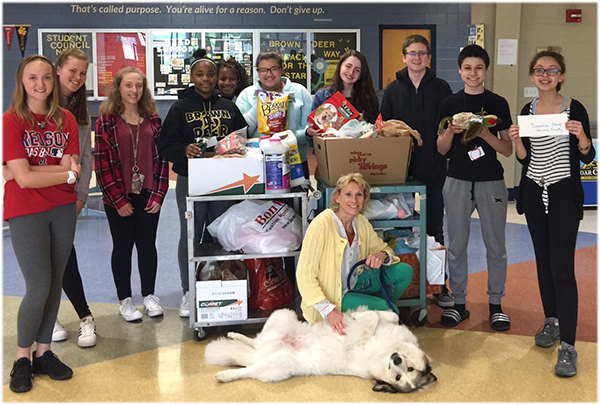 Inspired by a paper that some of their fellow students wrote about the Wisconsin Humane Society and animal welfare, these students coordinated a school collection drive for the animals at WHS! They donated over 200 items to help the animals, ranging from food to treats to toys! We are so grateful to them for their generosity and hard work and we KNOW the animals are grateful too! 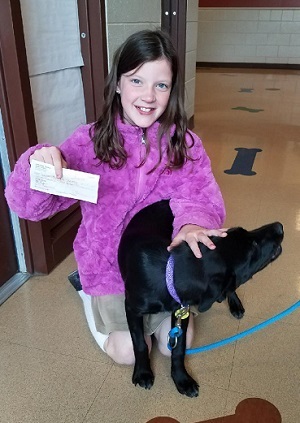 For her birthday Stella donated $100.00 to help animals at the Wisconsin Humane Society. She was so excited to look around and see how donation is going to help all the animals waiting for they new homes. From all the animals and staff, thank you Stella for your amazing donation! Billie selflessly asked for kitty supplies instead of her own birthday gifts. She was so excited to donate the goodies and even more excited to receive appreciation from Boggle, the kitten who couldn’t stop purring in her arms! Thank you, Billie and Happy Birthday! 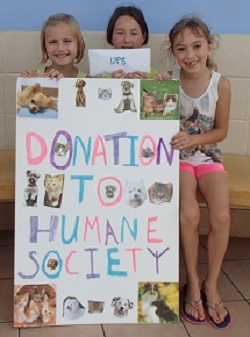 These amazing girls held a lemonade stand and raised $128.00, which they decided to donate to the Wisconsin Humane Society! Thank you ladies your amazing generosity and the awesome poster! Brianna & Brenna stopped with the Ozaukee Campus with a friend to drop off money they raised by selling bracelets they made! They raised over $69.00! Thank you so much ladies! Ellie & Lulu, along with a friend, stopped by the Milwaukee Campus with gifts from their 12th birthday party. 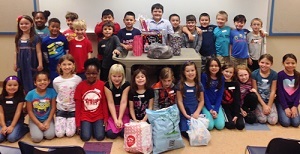 Instead of asking for presents, they asked their friends to bring items to donate to the Humane Society! Thank you girls for thinking of all of us at the Wisconsin Humane Society! Tyler stopped by the Milwaukee Campus with lots of items for the animals! Our puppies and kittens were excited to meet Tyler and thank him for his very generous donation!! 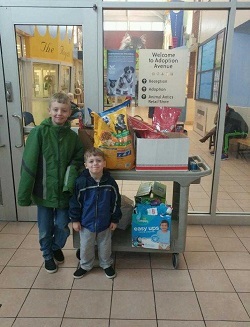 Coleman & Elizabeth stopped by the Milwaukee Campus with a friend to make a donation for all the animals at the shelter!! Dumpling was so excited to meet them and thank them with lots of cuddles and kisses! Thank you for thinking of the animals at the Wisconsin Humane Society!! Georgia, 11, raised $110.15 by inventing a game and charging her father's coworkers to play it. She convinced them to play by promising to donate all of the money to the animals at the Wisconsin Humane Society! 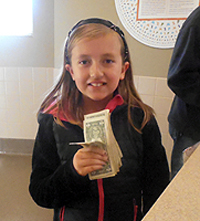 Her father then matched the money raised, and she emptied out her piggy bank at home too! Georgia came to the shelter to deliver the donation and she got a snuggle from Patrick. Thanks Georgia for being so creative and being a huge supporter of the Wisconsin Humane Society!!! For her 6th birthday, Harlowe wanted friends and family to bring items to donate to the Wisconsin Humane Society Milwaukee Campus. The dogs and cats were so excited to play with their new toys and eat some yummy treats! Thank you Harlowe for all the donations from your birthday!! Maddie turned ten today, and for her birthday asked friends and family for wish list items for WHS in lieu of gifts for herself. She came into the shelter to drop them off and snuggled with a puppy as well! Thank you Maddie for your support of the animals and kindness! 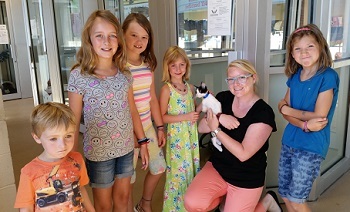 Our kittens couldn't wait to hang out with Syndey and thank her for her amazing donation. She raised $104.77 at her lemonade stand to help all the animals at the Wisconsin Humane Society!! We are are so touched by your generosity. Thank you Syndey! 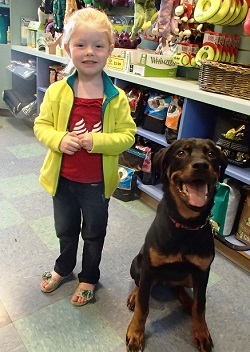 We were so amazed when Vera stopped in to drop off donations she collected for her 5th birthday! She absolutely loves kitties and brought in a ton of toys and supplies for the cats at our Milwaukee Campus. Thank you so much Vera, we are very grateful! A BIG thank you to the Girls On The Run team from Golden Meir! The team had a bake sale for WHS and raised over $200 dollars for the animals! They even hosted Sharon, WHS staff, to do a formal check presentation. Way to go, girls! Many thanks to the Girls On The Run team from McKinley for hosting a needs drive for WHS new spay/neuter Clinic! The girls made flyers, wrote and read PA announcements at school, spoke in front of their classrooms, and created individual posters for the drive all resulting in great donations for our Clinic. We are so grateful ladies! Julia and a friend wanted to come up with a way to help the animals at the Wisconsin Humane Society so they decorated a shoe box and placed it in their classroom. They asked classmates to donation and raised $60.06! What a great idea! Thank you so much Julia!! 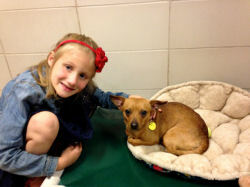 Link was so excited to see Gweneth, who stopped by the Wisconsin Humane Society with a donation from her lemonade stand! She collected $20.61!! Way to go Gwen! We are so thankful! Kayleeana, Abby, Sienna, & Maurice were doing a class project around animal abuse. 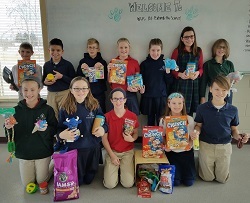 They wanted to help the community so they did a school drive at the Academy of Accelerated and collected items for the Wisconsin Humane Society. They brought in over 500 items! Thank you girls for the AMAZING donation!!! 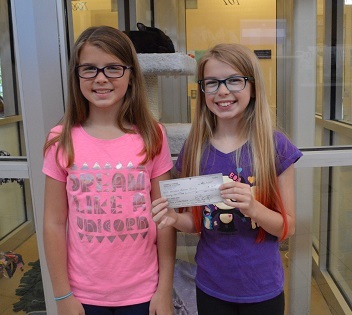 Izabella, Sophia, & Hope collected over $56.00 at their lemonade stand and decided to donate it to the animals at the Wisconsin Humane Society-Milwaukee Campus! Some of our puppies want to thank them for their generosity with some puppy kisses!! Wow! 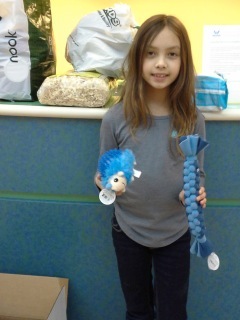 Look at all these wonder items Allison brought in from for the animals at the Milwaukee Campus! 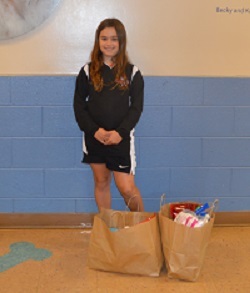 For her Girl Scout service project Allison decided to do a donation drive at Downtown Montessori Academy. Thank you everyone, especially Allison for the fantastic donations!!!!! 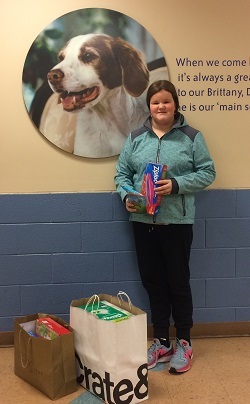 Sydney decided for her birthday to donate treats, toys, and food for the animals at the Milwaukee Campus! Wamble, the puppy, couldn't wait to play with one of his new toys! Thank you Sydney!! Our animals are loving their new blankets made by the students at MacDowell Monessori School! They stopped by our Milwaukee Campus with tons of bags filled with blankets for the animals to enjoy. Thank you so much for all your hard work! Huge thanks to Trinity for collecting donations on her birthday! 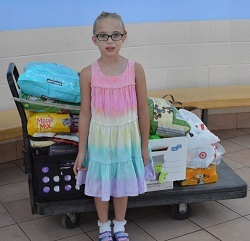 She arrived with a whole cart full of supplies for the animals at our Milwaukee Campus. Thank you so much for your generosity! 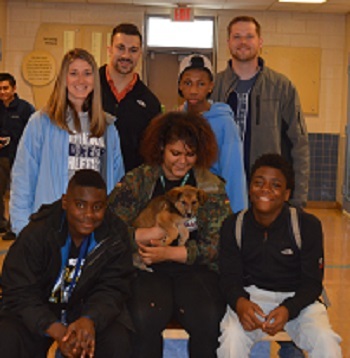 When we heard the students at Irving Elementary School in West Allis had a school-wide lollipop sale to raise money to help animals at WHS, we were so thrilled! Even more impressive is the amount they raised - $635 in only 5 days! That's a lot of lollipops and a lot of hard work and generosity. Way to go, Irving Eagles! All the animals were so surprised and thankful when Alina presented them with gifts she collected for her birthday! Thank you Alina for sharing your special day with the animals. 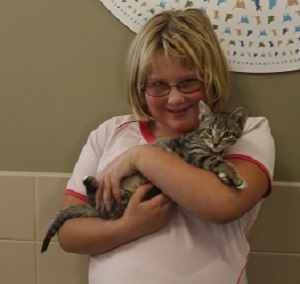 A big thank you to Hannah and her friends who took time to collect donations for the animals at our Ozaukee Campus! Not only did we receive treats and toys for the animals, but the girls made cozy blankets for the dogs and cats to cuddle with. Thanks for stopping by, Hannah and for sharing your kindness with the animals! 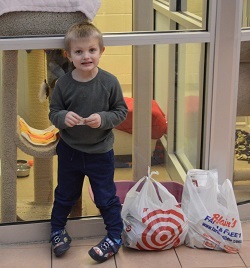 Thank you, Declan for collecting the toys, treats and peanut butter for the animals this holiday season! Without hesitation, Nera's favorite new toy is the blue squeaky ball you have to her! Keep up the great work and thanks for sharing your kindness with the critters! A huge thank you to the generous students and staff at Elm Dale Elementary in Greenfield! 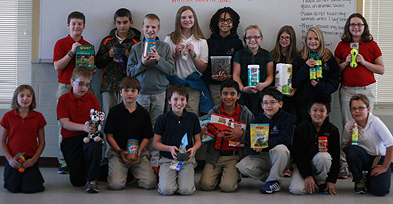 For the second year in a row, they held a "Furry Friend Friday" donation drive and collected mounds of dog and cat food, toys and treats to help animals in need. Thanks for thinking of animals this holiday season! 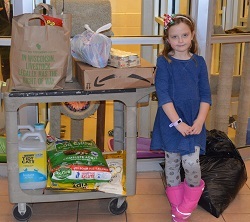 Thank you, Ava for bringing in donations for critters big and small! Rather than receiving birthday gifts, Ava decided to give back to the animals and ask for donations instead. Thank you for your generosity and Happy Birthday, Ava! 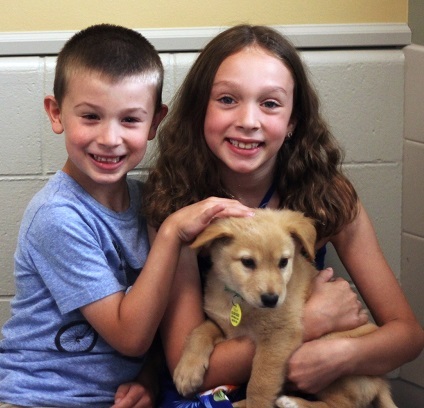 Grace and Dylan organizaed a lemonade stand to raise money for the animals at our Milwaukee Campus and raised $65!We were so honored that they chose to use the proceeds to sponsor two of our animals. Thank you girls so much, we are incredibly grateful! There are so many ways to get creative with fundraising and here is a great example! Catherine, Lizzy, Kaitlin and Alexa held a carnival in their backyard complete with games, fortune telling, lemonade stands and more! All proceeds were donated to benefit the animals at the Ozaukee Campus. What a great way to enjoy time with friends, the summer weather and to help animals in need! Spectaular job, ladies and thank you! Huge thanks to Lexie! 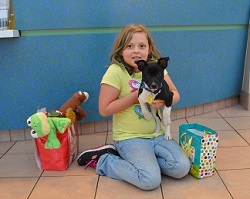 She collected donations for the animals at our Racine Campus instead of receiving presents for her birthday. We received lots of wonderful wishlist items which will help the animals during their stay. Happy Birthday Lexie! How's this for girl power? The 3rd-5th grade Girls onthe Run team from Stormonth Elementary in Fox Point recently collected wish list items to help animals in need. They received a visit from Connie, a WHS docent, and hey therapy dog, Brenna. Way to go, girls! How great are these blankets? 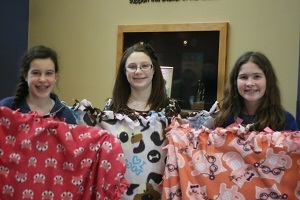 Girl Scout Troop 3051 made several fleece blankets that have extra filling for extra comfort. The fun themes make these blankets a cute addition to any cat or dog suite. Keep up the great work, ladies and thank you for thinking of the animals! 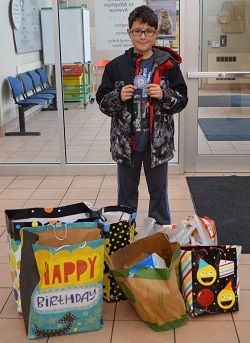 A big thank you to Ethan for selflessly donating gifts to the animals at our Ozaukee Campus in lieu of receiving his own birthday presents! Everyone including the furry ones are grateful for your generosity and for collecting all those wonderful items. We hope had a very Happy Birthday, Ethan! Huge thank you to Girl Scout Troop #1397 members Amelia & Maya. They sold Girl Scout cookies and donated a portion of the proceeds to the Milwaukee Campus. They also collected a large amount of wishlist items. Thank you so much girls! Thank you Sam for working hard to collect and donate 9 homemade blankets and toys for the animals at the Ozaukee Campus! The animals can't wait to cozy up with the blankets and toys during the blistery Wisconsin winter. Great job! 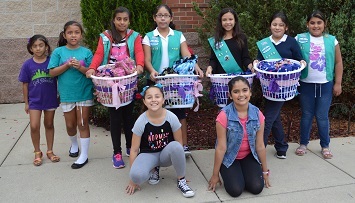 Thank you Girl Scout Troop 8439 of Cedarburg for your generous donations! 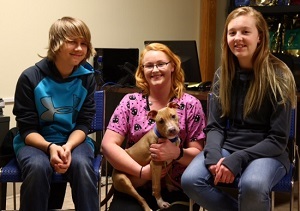 As the girls arrived for Scout Night at the Ozaukee Campus, they came with a big box filled with fleece-braided rope toys, dog and cat food, toys, lint rollers and more! All of these items will be put to use immediately. Your generosity is greatly appreciated! 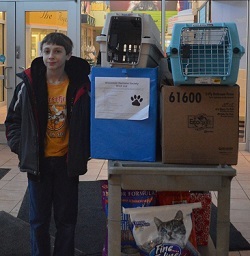 Huge thanks to Nick who collected $100 and tons of wishlist items for the animals at our Milwaukee Campus. Nick chose WHS as the recipent for his Black Belt community service project. Thanks again Nick and good luck with your Black Belt test! 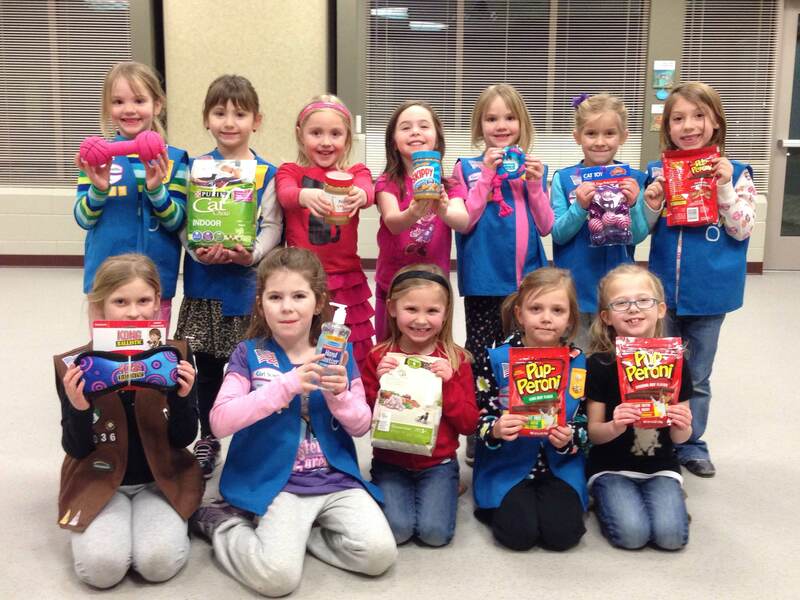 Many thanks to Girl Scout Troop 6317 of Thiensville for bringing toys, treats and peanut butter to Scout Night at our Ozaukee Campus. 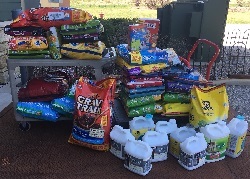 Thanks for thinking of the animals and collecting these wonderful donations! Keep up the great work! A special thanks goes out to E owyn! 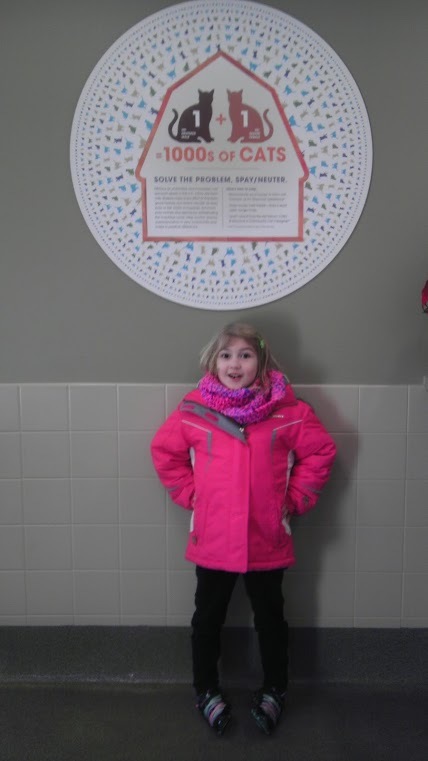 She graciously collected donations for our Ozaukee Campus on her sixth birthday instead of presents and raised $76! We are all so grateful, Eowyn! Thanks to some special and generous third graders from Hartford University School in Milwaukee. They did a penny drive at their school during the month of November and raised over $250 for the Wildlife Center through our Classrooms Go Wild program. That's a lot of pennies! Thanks to Elm Dale School in Greenfield! The Elm Dale Chorus recently collected dozens of bags of dog and cat food during a “Furry Friends” food drive at the school. Your gift will help many animals stay happy and healthy this holiday season! We were so honored to learn that Sophia & Hope held a lemonade stand and donated all the proceeds to WHS! One our kittens was so excited, she wanted to say thank you personally! 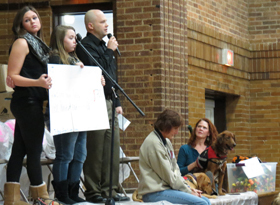 A huge round-of-a-paws to the students and staff from Walden III School in Racine! Led by the student government, they raised over $1,020 and countless boxes of food, treats, collars and blankets for the Racine Campus. At a recent school assembly, two of the school’s therapy dogs, Reggie and Ruskin, presented us with the donation. Thanks for your thoughtfulness and generosity, Walden School! 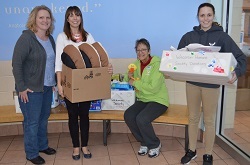 Special thanks to The Nurturing Nook who collected donations for animals at our Milwaukee Campus. Round -of-a-paws to all of you! A BIG thank you to Mrs. Vater and the students at Stormonth Elementary School! As the students arrived for their visit to the Ozaukee Campus, they brought three large decorated boxes brimming with items like treats, toys, peanut butter and more! The animals were eager to play with their new toys and all the staff are grateful for your generosity. Awesome work! Happy Birthday, Lizzie! 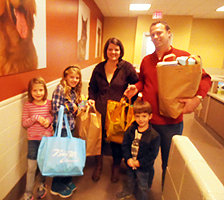 Thank you for bringing in bags filled with donations for the animals to enjoy! We hope you had a special day and thanks for sharing your generosity. Ms. Dich’s 5th grade class at St. Joseph Parish School arrived for their classroom program with all sorts of goodies! From peanut butter, to treats, to toys, and more, these items were put to immediate use for all the animals to enjoy. Thank you to all the parents, teachers and students who worked together to support animals in need! Keep up the great work! 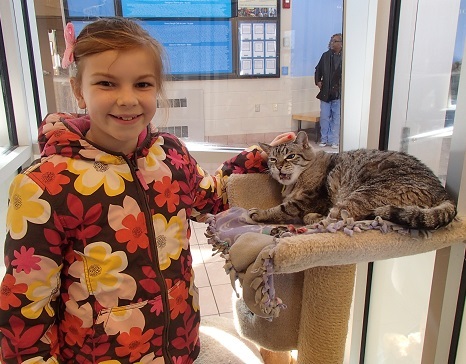 All the animals would like to thank Aubree, who collected donations for WHS on her birthday. We are incredibly grateful for this amazing gift and had a blast when you came to visit! 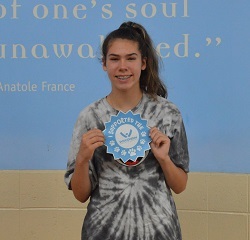 Kendall attended Camp Critter this past summer and loved making dog treat jars so much that she continued to make them and donate all of her sales to animals here at our Ozaukee Campus. Thank you, Kendall for your kind actions and thoughtfulness! The pups and staff are so grateful that you thought of them! Evey decided to collect donations for her birthday instead of receiving gifts. We are incredibly lucky to have you as a friend, Evey! Sombraro was so excited, he wanted to personally thank her! Thank you for bringing in your family to help carry all of the generous donations in lieu of receiving birthday gifts. Your kindness and compassion for animals at such a young age is great to see! Thank you! Happy Birthday to Lindsey! 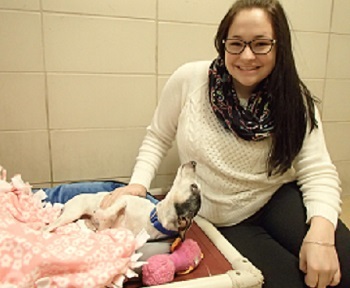 She generously collected wishlist items for the animals at WHS, instead of gifts for herself. On behalf of all the animals at WHS, thank you Lindsey! A big thanks to parents, teachers and students at Divine Savior Catholic School in Fredonia for donating items like fleece and treats for the dogs and cats at Ozaukee. Keep up the great work and thank you for your generosity! Bella surprised us again by collecting donations for her birthday. This is the second year in a row that she's shown such generousity! 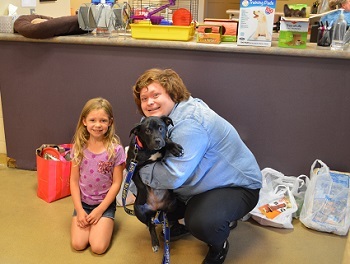 Bella collected money and lots of wishlist items, which will really help all the animals during their stay at the Milwaukee Campus. Thanks Bella! 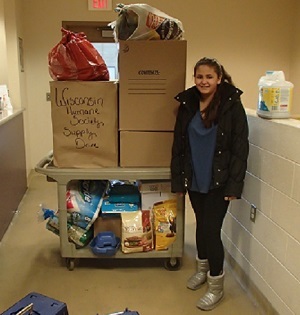 Her can recently held a donation drive for the animals at the Racine Campus and collected lots of items! Their donation will help all the animals feel more comfortable during their stay at the WHS-Racine Campus! Thank you all so much, we a very grateful for your hard work!